In a jolt to the BJP, two lawmakers quit the party on the day when it released its first list of candidates for the 2019 Lok Sabha polls. NEW DELHI: In a jolt to the BJP, two lawmakers quit the party on the day when it released its first list of candidates for the 2019 Lok Sabha polls. In Assam, BJP MP, Ram Prasad Sarmah, resigned from the party on Saturday as he was livid over the non-inclusion of his name in the list of probable party candidates for the Tezpur seat that he represents. He said, “I have left the BJP. I really feel pained in my heart for those old BJP workers of Assam who were most neglected in the party by the new intruders. I was strongly raising my voice on their behalf. Now, there will be no one to raise a voice for them”. Chief Minister Sarbananda Sonowal and BJP stalwart Himanta Biswa Sarma are among a few leaders who had defected to the BJP from other parties in the past few years.Stating that he had served the BJP for 29 years and the RSS-VHP for 15 years, Sarmah said he felt insulted when his name did not figure in the list of probable candidates, which the BJP’s state unit sent to central leadership. In Uttar Pradesh, party’s lawmaker from Prayagraj resigned and joined Akhilesh Yadav’s Samajwadi Party. Shyama Charan Gupta will contest the Lok Sabha elections from Banda, as an SP candidate. A former SP man, Gupta had contested LS polls from Banda on an SP ticket in 1999 but had lost to the candidate from Mayawati’s Bahujan Samaj Party. Gupta had contested from Phulpur in 2009 as an SP candidate but lost the elections. 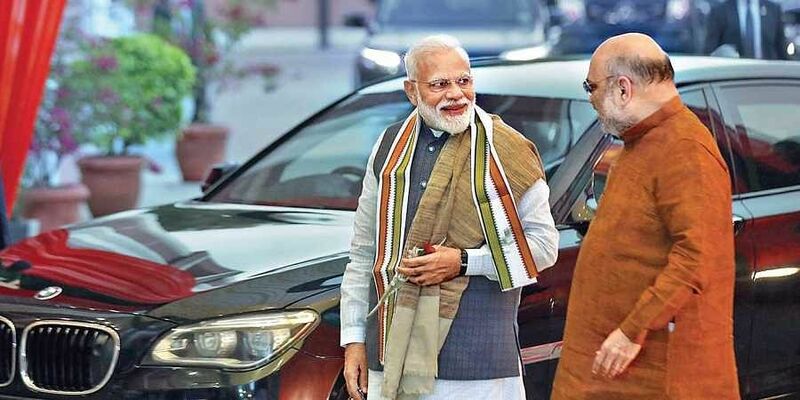 A prominent Baniya leader in eastern Uttar Pradesh, Gupta contested as a BJP candidate from Allahabad, now known as Prayagraj, in 2014 and won.